Why should i care about interest rates? Well the interest rate is the cost of borrowing money, and it is normally expressed in terms of a percentage of the overall loan. The rate you may borrow at will be different for everyone, and it is based on you current credit score. So, not only will you have to pay back the original amount of money borrowed (the principal), but you’ll also have to pay back the interest that accrues on the money (the interest, plus any setting up fees etc.) How much interest you have to pay on any given loan is subject to a number of different criteria (i.e. your credit score), depending on who you borrow the money from and the terms of the loan. 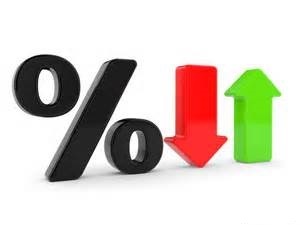 MoneyHabits.com has defined some of the common terms regarding interest rates for more terms defined. APR, or ‘Annual Percentage Rate’ is the percentage of interest payable on the loan based on a yearly term. When APR is quoted this is because financial lenders must disclose the APR so that consumers have the chance to measure all lenders against a common metric. For example, many credit card companies declare their interest rates in terms of a monthly interest rate, say 2%. The actual APR in this instance is 24% (12 months X 2% = 24%), which doesn’t sound so attractive. APR gives borrowers the chance to determine what the actual overall cost of the loan will be, but keep in mind that there may be additional ‘set up’ or ‘administration’ fees that are not included in the APR calculation. Particularly for smaller loans over shorter time periods, these extra fees can make a big impact. Interested in tips on improving your credit score?